So I had a fun opportunity to read and review K.A. Harrington's new YA release Forget me with Jen from Jenuine Cupcakes. I totally love Jen and her blog. 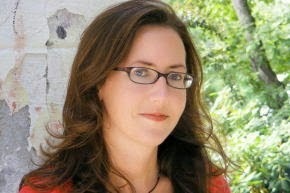 She is one of the blogs I look to as an example of what I would one day like my blog to become. I honestly don't know how she does it all, she's just amazing! 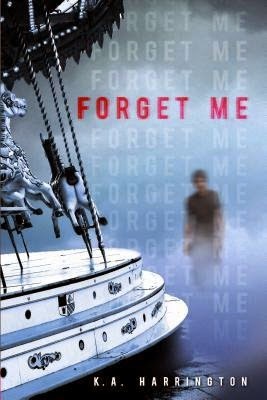 So if you have a chance stop by her awesome blog, just click on her blog icon and scroll down just a bit to check out my quick review and our discussion of Forget Me. I have to say that this book sneaked up on me, sucked me in, kept me on the edge of my seat, and then actually shocked me, and that doesn't happen very often for me any more. Besides this books ability to actually surprise me with it's plot twists, my favorite part is the relationship dynamics in the book. I never felt like ANY of the relationships were contrived. Never felt as though I had to force myself to believe them, or that they were being faked by the characters. These relationships were ones that I could see happening, they were the type of relationships that I would have had as a teen (minus all the exciting thriller aspects, haha) and I think that is something that might be missing a lot in YA. I also think it is something we really need to see more of. There is always a place for the fantastical type relationships, the ones that come on fast and strong, the ones that are there just to carry a plot forward, the ones that make us swoon and the ones that make us want to throw our books around, but it's also really nice just to see relationships that we can believe in, ones that we can relate to. This is a need to read in my opinion if you are a fan of YA or contemporary thrillers so go out and grab it up! First impression of FORGET ME? Jen: The cover totally creeped me out, but in a good way. Dopplegangers fascinate me as well and I was really curious to see how this story played out. Malissa: I didn’t get the creepy aspect, but I was totally drawn in. I needed to know why everything was so ghostly and what does this very prominent carousel have to do with anything. This is definitely a book I would pick up just because the cover caught my attention. What stood out to you while reading? Jen: I was pleasantly surprised at how engrossing this story was, and I had a difficult time putting it down because I NEEDED TO KNOW what was going on! The friendship between Morgan and Toni was a nice change from the girl drama stories I’ve read recently. Malissa: I was really taken by this book. I was totally one the edge of my seat the whole time because I just wanted to know what the heck was going on. Seriously in most books I can feel out the plot and figure out what is going to happen before it does, but this...color me surprised and it was awesome! Oh and Jen I loved the girls relationship as well. It felt real, it’s how I remembered being in high school with my best friend. We might get pulled in different directions (particularly when it came to buys) but we were always there for each other in the end. I wish that were more BFF relationships like this one in books. Malissa: Evan, absolutely Evan...but Finn, well Finn, I can totally see the draw. Jen: FORGET ME is addictive, thrilling, romantic and the BFF’s made me smile! Malissa: You want to pick this up. FORGET ME is going to take you on one heck of a roller coaster ride (not meant to be puny), you’ll swoon (don’t get me started on boys on baseball teams), you will hold your breath, you will want to scream out in disbelief, and you will be hooked!